Welcome to the registration site for the seventh annual MOM-n-PA dental mission to be held in Wilkes-Barre. Please click on the "MOM-n-PA Volunteer Service Agreement" button above before continuing. READING THIS ENTIRE PAGE will allow you to successfully register. 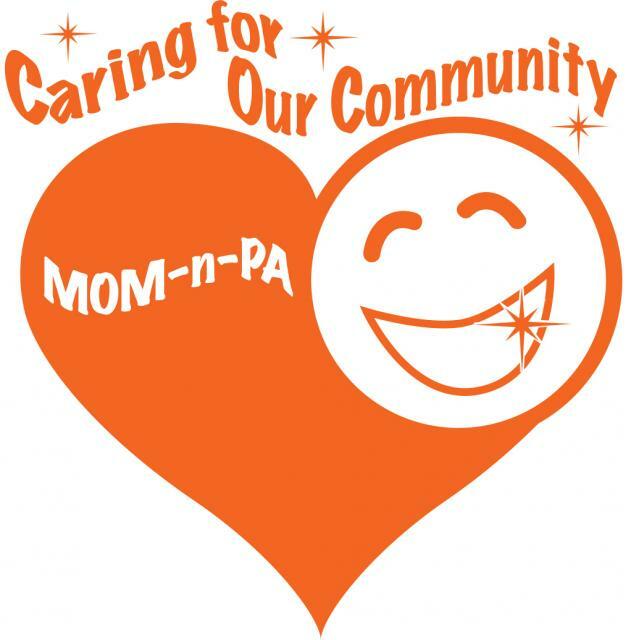 The MOM-n-PA is an annual free dental service clinic for under-served Pennsylvanians, sponsored by the MOM-n-PA Board. CLINIC DAYS will be Friday & Saturday June 7 and 8, 2019. BREAK DOWN will be Saturday June 8 starting at 4 PM. Under 18 year old lay volunteers need to submit a signed waiver signed by a parent or guardian. 1. Add our email addresses volchair@mom-n-pa.com and events@rsvpbook.com to your email contacts (the address book for the email address that you'll use for registration). This will ensure that you will receive communications from us, such as your registration confirmation and your information packet that we'll email in May. 2. Read the MOM-n-PA 2019 Volunteer Service Agreement (tab at top of page). Before you submit your registration form, you will be required to check a box indicating that you agree to the waiver. To get back to this page from the waiver tab, just click the "VOLUNTEER REGISTRATION PAGE" tab at the top of the page. 3. Plan on filling out this registration form separately for every volunteer. Required fields, including a valid email address, are marked with an asterisk (*). 4. Choose your REGISTRANT TYPE. This will narrow down volunteer positions for you. 5. Please do not select overlapping shifts. Select either a full day, morning or afternoon shift for each day you will be attending. We'd really appreciate full day committments. 6. Click the "Submit Registration" button to submit your registration. If you don't receive an email confirmation please contact volchair@mom-n-pa.com. We have had trouble with some email providers forwarding our communications. 7. You can log back in to adjust your registration information as needed, using the password that you chose when registering. Click the "Save Changes - Attending" button to submit your edited registration. 8. Out of state dentists without a PA license can participate this year with a Temporary Volunteer License. Click on the link PA State Board of Dentistry to download an application. After you receive your license, email a copy to volchair@mom-n-pa.com. It may take up to 60 days to receive a license so apply early. 9. Dental students must volunteer for full day time slots as registrant type "dental student". You will be assigned to both clinical and non-clinical positions as needed. This will allow all students to participate in clinical assisting positions. 10. Pre dental students must register as registrant type "lay volunteer". Please keep in mind that we cannot confirm final volunteer assignments until close to the event date. On rare occasions we must reassign a few volunteers to ensure proper coverage in all areas. You will be notified close to the event if we find it necessary to make adjustments to your assignment. A link to our hotels and dorm rooms with discounted room rates can be found on the Volunteer page of MOM-n-PA. Please make your reservations early! Convenient volunteer parking will be available at the Mohegan Sun Arena. Details will be emailed in May. I am registering for MOM-n-PA 2019. Each volunteer must be registered separately online through this form. Please use your favorite map website such as Google Maps, Yahoo Maps, or Mapquest and enter 255 Highland Park Blvd, Wilkes-Barre Township, PA 18702 to get directions to the Mohegan Sun Arena where MOM-n-PA 2019 will be held.